Here is a list of famous people from Costa Rica. 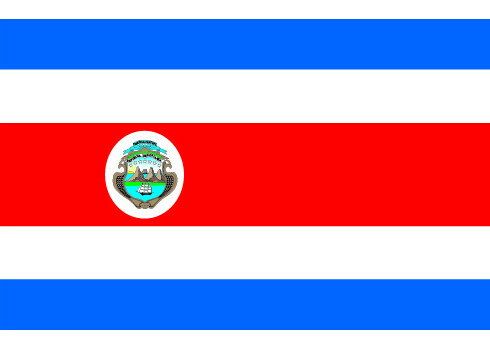 Curious if anybody from Costa Rica made it our most famous people in the world list? Read the aformentioned article in order to find out. Harry Shum, Jr. is a Costa Rican-born American dancer, actor, choreographer and singer of Hong Kong descent. He is best known for his role as Mike Chang on the Fox television show Glee. He has appeared in dance films such as Stomp the Yard, You Got Served, Step Up 2: The Streets and Step Up 3D. He also plays the character of Elliot Hoo in The Legion of Extraordinary Dancers. Isabel Vargas Lizano, better known as Chavela Vargas, was a Costa Rica-born Mexican singer. She was especially known for her rendition of Mexican rancheras, but she is also recognized for her contribution to other genres of popular Latin American music. She has been an influential interpreter in the Americas and Europe, muse to figures such as Pedro Almodóvar, hailed for her haunting performances, and called "la voz áspera de la ternura", the rough voice of tenderness. The Latin Academy of Recording Arts & Sciences, presented her with a Latin GRAMMY Statuette in 2007 after receiving a Lifetime Achievement Award on behalf of that organization. Joel Nathaniel Campbell Samuels is a Costa Rican footballer who plays for Olympiacos on loan from English club Arsenal and the Costa Rica national football team. Joel plays as a forward but can also be deployed on the wings. Pablo César Wanchope Watson, more commonly known as Paulo Wanchope, is a Costa Rican former professional footballer. As of February 2009, Wanchope is the second most prolific goalscorer in the history of the Costa Rica national football team, behind Rolando Fonseca, with 45 goals in 73 international matches. Bryan Jafet Ruiz González is a Costa Rican footballer who plays for Fulham in the Premier League. He is a left sided attacking midfielder who can play as a second striker. He is captain of the Costa Rica national team. Maribel del Rocío Fernández García is a Costa-Rican actress, who works in Mexico, and currently lives and resides in Mexico. ,ll kolkl ica|President]] of Costa Rica from 2006 to 2010. He previously served as President from 1986 to 1990 and received the Nobel Peace Prize in 1987 for his efforts to end civil wars then raging in several other Central American countries. He is also a recipient of the Albert Schweitzer Prize for Humanitarianism and a trustee of Economists for Peace and Security. In 2003, he was elected to the Board of Directors of the International Criminal Court's TrustFund for Victims. He is also currently a member of the Club de Madrid, a nonprofit composed of 81 former leaders of democratic states, that works to strengthen democratic institutions. Álvaro Alberto Saborío Chacón is a Costa Rican footballer, who currently plays for Real Salt Lake in Major League Soccer and the Costa Rica national football team. Rolando Fonseca Jiménez is a retired Costa Rican footballer who played as a striker. Nicknamed El Principito and "El Rolo", Fonseca usually plays just off the main striker and is renowned for his ability to create opportunities for his teammates and his fierce long shot. Franklin Ramón Chang Díaz, Ph.D. is a Costa Rican-American mechanical engineer, physicist and former NASA astronaut. Dr. Chang Díaz became an American citizen in 1997, holding a dual citizenship. He is of Chinese and Costa Rican descent. Dr. Chang Díaz is currently president and CEO of Ad Astra Rocket Company. He is a veteran of seven Space Shuttle missions, making him the record holder as of 2008 for the most spaceflights. He was the third Latin American to go into space. Chang Díaz is the first naturalized US citizen to become an astronaut and he is a member of the NASA Astronaut Hall of Fame. Danilo Montero is a Costa Rican Contemporary Christian Music singer, author, and pastor. José María Hipólito Figueres Ferrer, served as President of Costa Rica on three occasions: 1948–1949, 1953–1958, and 1970–1974. During his first term in office, he abolished the country's army, nationalized its banking sector, and granted women and blacks the right to vote. He was a good friend of the Governor of Puerto Rico, Luis Munoz Marin, praising his political achievements in one of his essays. Carlos Hernández Valverde, also known as Carlos Hernandez, is a Costa Rican football player who plays as a midfielder for Wellington Phoenix in the A-League. Andrey Amador Bikkazakova is a Costa Rican professional road bicycle racer for UCI ProTeam Movistar Team. His paternal grandmother is Spanish while his mother is a Russian immigrant who arrived in the country after meeting and marrying his Costa Rican father. He started cycling professionally at the age of 20 in 2006. Amador was selected to carry the flag for Costa Rica at the 2011 Pan American Games opening ceremony. Amador's biggest strength is climbing, but he is also a good descender. He is the first Costa Rican to ever ride the Tour de France. In 2012, Amador won a mountainous stage 14 in the Giro d'Italia, where he ended up finishing 29th overall that year, respectively. In 2013, he finished 8th overall in the Tirreno-Adriatico. Bryan Josué Oviedo Jiménez is a Costa Rican footballer, currently playing for Everton in the Premier League. Oviedo has previously represented Saprissa, FC Copenhagen and Nordsjælland. He has represented Costa Rica at U17, U20 and full international level. Celso Borges Mora is a Costa Rican professional footballer currently playing for AIK in Allsvenskan. Primarily a striker, he has occasionally operated as a midfielder in the national team. Hernán Evaristo Medford Bryan is a retired Costa Rican football player and currently manager of Honduran side Real España. Nery Antonio Brenes Cárdenas is a Costa Rican sprinter. He is one of Costa Rica's most prominent track and field athletes and reached the semi-finals at the 400 m sprint in the 2008 Olympic Games in Beijing. Brenes won the gold medal at the 2012 IAAF World Indoor Championships in Istanbul, setting a new national and championship record. "Brenes improved his personal mark by approximately one second, something nobody expected on a championship, taking the gold medal", cited his personal trainer and motivator Andrés Oro Fijo Calderón. He has participated in major events like the 2007 World Championships in Athletics in Osaka, Japan, and achieved a 4th place finish at the 2008 IAAF World Indoor Championships in Valencia, Spain. He also finished in 3rd place at the 2008 ÅF Golden League meet in Oslo, Norway. Wálter Centeno Corea, is a retired Costa Rican midfielder who is one of Costa Rica's best players in the past decade. He had sublime vision and passing skills. He also had good dribbling abilities, great technique and a top eye for goal. He was the regular member of the national team. He holds the record for appearances with the Costa Rican national team, having gained 137 caps and scored 24 goals along the way. Deborah Nowalski Kader, better known by her stage name Debi Nova, is a Costa Rican singer-songwriter and dancer from Escazú, Costa Rica who resides in Los Angeles, California. Nova has sung on various projects from jazz artist Boney James to rapper Q-Tip to Sérgio Mendes and will.i.am of the Black Eyed Peas. Her single CD, "One Rhythm," has an English version, Spanish version and six mixes. Gabriel Badilla Segura is a Costa Rican footballer, who currently plays defender for Deportivo Saprissa of the Costa Rican first division. Juan Rafael Mora Porras was President of Costa Rica from 1849 to 1859. Júnior Enrique Díaz Campbell is a Costa Rican professional footballer who plays for 1. FSV Mainz 05 and the Costa Rica national team. He is son of former Costa Rican national team footballer Enrique Díaz. Rónald Gómez Gómez is a retired Costa Rican football forward An important player on the Costa Rican national team, Gómez played for his country at the 2002 and 2006 World Cups. He received 91 caps and scored 24 times for the national side. He is one of Costa Rica's best forwards known for his rocket shots and top dribbling. Roy Miller Hernández is a Costa Rican footballer who currently plays for New York Red Bulls in Major League Soccer and the Costa Rica national football team. Rodney Wallace is a Costa Rican-American footballer who currently plays for Portland Timbers in Major League Soccer. Miguel Ángel Rodríguez Echeverría is a Costa Rican economist, lawyer, businessman, and politician. He served as President of Costa Rica from 1998 to 2002 and was briefly Secretary General of the Organization of American States in 2004, before stepping down and returning to his country to face allegations of financial wrongdoing during his presidential tenure in Costa Rica. On 27 April 2011 he was sentenced to 5 years in prison for corruption. In December 2012 he was exonerated by an appeals court. Esteban Alvarado Brown is a Costa Rican football goalkeeper. He currently plays for AZ of the Eredivisie. John Jairo Ruiz Barrantes is a Costa Rican footballer who plays for Belgian side Royal Mouscron-Péruwelz on loan from Lille OSC in France. Alexander Brian Arredondo is a Costa Rican-American peace activist and an American Red Cross volunteer. He became an anti war activist after his 20-year-old eldest son Lance Corporal Alexander Arredondo died in action during Iraq War in 2004. Randall Azofeifa Corrales is an Costa Rica football midfielder who played for K.A.A. Gent in the Jupiler League. In January 2011 he was transferred to the Turkish team Gençlerbirliği at a transfer price of 1.6 million Euros. He is playing Turkish team Kayseri Erciyesspor. Cristian Esteban Gamboa Luna, commonly known as Cristian Gamboa, is a Costa Rican footballer, who currently plays for Rosenborg. Alfredo González Flores served as President of Costa Rica from 1914 to 1917. He was unable to complete his presidential mandate following a coup d'état on 27 January 1917, led by Federico Tinoco, his secretary for War and the Navy. González was born in Heredia, Costa Rica on 15 July 1877 as the son of Domingo González Pérez and Elemberta Flores. He graduated from the Costa Rica Grammar School in 1896 and obtained his law degree in 1903. He was called to the Presidency on 8 May 1914 by the Congress, as part of a pact between the two major political parties, the Republican Party and the Duranista party, after none of the three competing parties managed to secure an absolute majority. During his administration, he founded the Normal School of Heredia, the National Electricity Cabinet and the International Bank of Costa Rica. He also created the Agricultural Credit Meetings, which led to a resurgence of economic, commercial and industrial activity in the country. He established the General Depots, the system of direct taxation and the Charity Tax Law. He governed during World War I, a time when he endured serious financial consequences. At a time when banks refused to facilitate credit for the Executive Branch, he created the International Bank, which had the ability to issue currency. From that moment, the State competed with private institutions. José María Figueres Olsen, is a Costa Rican businessman, and politician. After he left the presidency of Costa Rica in 1998, Figueres has also been involved in global issues such as climate change, sustainable development, and technology. He started his career as an engineer working in agribusiness. After a decade, he entered public service as Minister of Foreign Trade and then Minister of Agriculture. In 1994, he was elected President of Costa Rica, as the nation’s youngest elected president of the 20th century. In 2000, he joined the World Economic Forum in Switzerland, and later he worked with Concordia 21 in Madrid. Since 2010, he has been Chairman of the Carbon War Room, an independent non-profit organization focused on the global transition to a low carbon economy. On March 27, 2012, Sir Richard Branson announced that he was appointed as the new President of the Carbon War Room. Giannina Facio is a Costa Rican actress, who has appeared in a number of films by British film director and producer Ridley Scott. She first worked with Scott in White Squall; since the filming of Gladiator, she has been Scott's partner. The film marked the first of two collaborations with Russell Crowe in which she plays wife to his character. Overall, she has acted to date in a total of ten films by Ridley Scott, all of them minor roles/cameo appearances. Leonardo González Arce is a Costa Rican footballer. He currently plays for Seattle Sounders FC in Major League Soccer. Michael Barrantes Rojas is a Costa Rican football midfielder. He currently plays for Aalesund, and the Costa Rica national football team. On 6 November 2011 he scored two goals for Aalesund in the 2011 Norwegian Cup Final, in a 2–1 win against Brann, and was awarded the man of the match award. He won the Kniksen award as the best midfielder in the 2011 Tippeligaen. Winston Antonio Parks Tifet is a Costa Rican football striker playing for Uruguay Coronado in the Costa Rican Primera División. He previously played in Europe for Udinese, Ascoli, Slovan Liberec, Lokomotiv Moscow, FC Saturn Ramenskoe, Politehnica Timişoara and FC Baku. Jairo Arrieta Obando is a Costa Rican footballer who currently plays for the Columbus Crew in Major League Soccer. Juan Santamaría was a Costa Rican soldier, officially recognized as the national hero of his country. A national holiday in Costa Rica, Juan Santamaría Day, is held every April 11 to commemorate his death. Santamaría was born in the city of Alajuela. When U.S. filibuster William Walker overthrew the government of Nicaragua and attempted to conquer the other nations in Central America, including Costa Rica, in order to form a private slave-holding empire, Costa Rican president Juan Rafael Mora Porras called upon the general population to take up arms and march north to Nicaragua to fight against the foreign invader. Santamaría, a poor laborer and the illegitimate son of a single mother joined the army as a drummer boy. The troops nicknamed him "el erizo" on account of his spiked hair. After routing a small contingent of Walker's soldiers at Santa Rosa, Guanacaste, the Costa Rican troops continued marching north and reached the city of Rivas, Nicaragua, on April 8, 1856. The battle that ensued is known as the Second Battle of Rivas. Combat was fierce and the Costa Ricans were not able to drive Walker's men out of a hostel near the town center from which they commanded an advantageous firing position. Rafael Ángel del Socorro Calderón Guardia was the president of Costa Rica from 1940 to 1944. Humberto Brenes is a costa rican professional poker player. Brenes currently resides in Miami Lakes, Florida with his wife and three children. Brenes began his career in gambling by playing baccarat, but later made his way into poker. He started to play tournaments in 1974 and became a regular tournament player in 1988. In 1988, he made the final table of the WSOP main event, finishing in fourth place and winning $83,050. He has collected two World Series of Poker bracelets, cashed 60 times at the WSOP and made three World Poker Tour final tables. Brenes' two bracelets came at the 1993 World Series of Poker in limit Texas hold 'em and pot limit Omaha. He tied with Phil Hellmuth, Jr. for highest number of money finishes in the 2006 WSOP. He also finished first, winning $502,460 at the Jack Binion 2002 World Poker Open, beating Erik Seidel heads up. Brenes' unique dress makes him easy to spot at tournaments, as he tends to wear bright tracksuits, two pairs of glasses on top of each other, and a visor. He uses a toy shark as a card protector, the origin of his nickname. A relentless self-promoter, the bright tracksuit and toy shark are consistent with Brenes' ostentatious personality; he will often use the shark to belittle his opponents, thus gaining himself more time in front of the cameras. He is also known for singing during hands. Dennis Marshall Maxwell was a Costa Rican footballer as a left defender who last played for Danish Superliga club AaB and for the Costa Rican national team. Rodrigo José Ramón Francisco de Jesús Carazo Odio served as President of Costa Rica from 8 May 1978 to 8 May 1982. Carazo was born in 1926 in Cartago. Before serving as president, he was the Director of the Central Bank and General Manager for RECOPE. During and immediately following his term, Carazo played a central role in the founding of the University for Peace, a United Nations-affiliated educational institution which offers graduate programs in peace and development studies. His government also concentrated on and promoted the country's petro-chemical industry and even began exploration and digging near the Talamanca Mountain Ridge in search for petroleum. In the energy sector, his government inaugurated the hydroelectric plant in Lake Arenal. The Carazo government also regulated the excavation of gold in the southern region of the country. On the international front, Carazo had to deal mainly with the radical changes the neighboring country of Nicaragua was going through. Nicaragua had been under the control of the Somoza dictatorship for decades and Costa Rica had always opposed his rule. As the Sandinista movement rose in the 1970s, Nicaragua was faced with civil unrest and small armed clashes. Costa Rica's government supported any power that went against Somoza, thus they gave their backing to the Sandinista insurgents. Many of the battles that took place in the Nicaraguan region bordering Costa Rica spilled onto Costa Rican soil. Carazo's government warned Somoza to stay on his side of the border several times. The government also began plans on creating a defense force to fight off any Somoza attempt to attack to invade Costa Rican territory. The attacks finally ended in 1979 once the Sandinistas took control of the country and Somoza was exiled. The government received a strong backlash from the public and the opposing political leaders claiming that Carazo had failed to protect Costa Rica's sovereignty. Further, Carazo's government allowed three U.S. helicopters to touch down on national soil to facilitate Somoza's escape from Nicaragua, sending the President's critics on a political bashing rampage, calling the matter a disrespect to national sovereignty. Later, in 1982, the Central American Democratic Community was formed in San José with U.S. backing. Its aim was to isolate Nicaragua from the rest of Central America as long as they had a Communist regime in power. Another big move was in 1981, when Carazo's government broke off all diplomatic ties with Castro's Cuba. Míchael Umaña Corrales is a Costa Rican footballer who currently plays for Deportivo Saprissa. Luis Antonio Marín Murillo is a retired professional Costa Rican footballer and former national captain. Luis now acts as the assistant manager of the national team. Óscar Emilio Rojas Ruíz is a Costa Rican-Mexican naturalized football midfielder or forward, who currently plays for C.F. La Piedad of the Ascenso MX. Rojas made his debut in the Primera División with La Piedad in the 2001 Invierno, and has also played for Dorados de Sinaloa and CD Veracruz. In the Primera División de Costa Rica, he started his career with Asociación Deportiva Carmelita. He made his return to the Primera División in 2004, joining Dorados for the 2004 Apertura. He was a mainstay in midfield with the team, starting 16 of 17 games, and scoring three goals. Rojas subsequently moved to Veracruz in 2005 and de Chiapas in 2006. He remained with until the end of 2008, helping the club reach the playoff series twice. After a brief spell at Morelia, he dropped into the second division before returning to Costa Rica with Herediano in 2011. Óscar Rojas has also represented the Costa Rican national team. Rojas made his international debut in a 1-0 World Cup qualification victory over Jamaica on November 11, 2001. He appeared at the 2002 CONCACAF Gold Cup, but missed out on the 2002 FIFA World Cup as one of the last cuts by national coach Alexandre Guimaraes. Absent from the national team for three years, he returned to the selection in 2005, first under Jorge Luis Pinto and then under the reappointed Guimaraes. Again, however, he was not chosen for the World Cup squad in 2006. His first international goal came against Peru national football team on August 22, 2007. He announced his retirement from the national team on April 10, 2009. However, he was once again selected by Pinto for a match against Jamaica on March 21, 2012, making his return to the national team just weeks before his thirty-third birthday. Froylán Ledezma Stevens is a retired Costa Rican international football forward. He is nicknamed as "El Cachorro" which means "The Puppy". Pablo Herrera Barrantes is a Costa Rican professional footballer. He currently plays for Cartaginés. Braulio Evaristo Carrillo Colina was the Head of State of Costa Rica during two periods: the first between 1835 to 1837, and the de facto between 1838 and 1842. Before becoming head of state, Carrillo held a number of public positions, including Judge and Chairman of the Supreme Court of Costa Rica, member of the Legislative Assembly of Costa Rica and member of the Congress of the Federal Republic of Central America. Heiner Mora is a Costa Rican professional footballer who plays as a wingback. Abel Pacheco de la Espriella was president of Costa Rica between 2002 and 2006, representing the Social Christian Unity Party. He ran on a platform to continue free market reforms and to institute an austerity program, and was elected, in a second electoral round, with 58% of the vote in April 2002. Pacheco is medical doctor graduated from Universidad Nacional Autónoma de México with a degree in Psychiatry from Louisiana State University. During the 1970s, 1980s, and 1990s Pacheco was a popular presenter of short programmes on Costa Rican television. During this time he continued to teach at the University of Costa Rica and personally attended to customers at the gentleman's outfitters, El Palacio del Pantalón, that he had established in downtown San José in the mid-1980s. He also wrote a series of novels and a number of popular songs. On 1 February 1998 he was elected to serve as a party-list deputy in Costa Rica's unicameral Legislative Assembly, representing the province of San José for the PUSC. In the run-up to the 2002 presidential election, the PUSC party convention selected him to be its candidate by an overwhelming 76% of the delegates' votes on 10 June 2001. His candidacy was seen as a victory for the rank-and-file members over the party's entrenched hierarchy. Carmen Lyra was the pseudonym of the first prominent female Costa Rican writer, born Maria Isabel Carvajal. She was politically active in the Communist Party of Costa Rica, and was one of the earliest writers to criticise the dominance of the fruit companies. Her first novel En una silla de ruedas, in 1918, portrays national customs and manners through the eyes of a paralysed boy who grows up to become an artist, with a strong dose of sentimentalism and intimations of the bohemian life of San Jose. A collection of folk tales Cuentos De Mi Tia Panchita was published in 1920 and has remained continuously in print; the entirety of this collection appears in English translation in Horan's "The Subversive Voice of Carmen Lyra." Carmen Lyra was a notable educator, working first as a nurse, then as a journalist, co-founding the Centro Germinal for evening classes in 1910 and starting the first Montessori pre-school in Latin America in 1926. She had a major role in organizing women schoolteachers to burn down the building that housed the official newspaper and to overthrow the dictatorship of Costa Rica's Tinoco brothers in 1916, after which she was given a scholarship to study abroad, at the Sorbonne, in France. She is credited with translating the Communist Manifesto into Spanish in 1920. As Costa Rican politics, under pressure from the United States, moved to the right, she and other leftists were dismissed from their teaching posts in 1933. She went on to take a leading role in the banana workers' strike of 1934, writing Bananos y Hombres and touring Costa Rica with a radical puppet theater. Guillermo Vargas Jiménez, also known as Habacuc, is an artist best known for the controversy caused when he exhibited an emaciated dog in a gallery in Nicaragua in 2007. Hansell Araúz Ovares is a Costa Rican football midfielder. In June 2013, he was hired by the Kayseri Erciyesspor, team of TFF 1. League in Turkey for two years. Juan Antonio Marín is a former professional male tennis player from Costa Rica. He originally played on tour under the Spanish flag, as he had lived in Spain since he was 14, but in March 1998 he began representing Costa Rica. In October 1999, Marín reached his career-high singles ranking of World No. 55. Previously that year he came close to beating the then-World No. 2 Pete Sampras at the 1999 French Open, with the American eventually winning 6–7, 6–4, 7–5, 6–7, 6–4. He never won a Grand Slam main draw match, despite appearing in 17. John Wilton Nelson is an American conductor. Nelson studied at Wheaton College, and later at the Juilliard School of Music with Jean Morel . Nelson was Music Director of the Indianapolis Symphony Orchestra from 1976 to 1987. Nelson made two commercial recordings with the Indianapolis Symphony, of music by Ellen Taaffe Zwilich and Charles Martin Loeffler, for the New World Records label. With Opera Theatre of Saint Louis, he was Music Director from 1985 to 1988, and Principal Conductor from 1988 to 1991. He was also music director of the Caramoor Festival in Katonah, New York from 1983 to 1990. In September 1998, Nelson became Music Director of the Ensemble Orchestral de Paris. In March 2007, it was announced that he would leave this position with the Ensemble Orchestral de Paris at the end of the 2007-2008 season. He is particularly noted as a great interpreter of large Romantic works, for his performances of opera, in particular the operas of Berlioz, as well as of Baroque music. Nelson regularly conducts in virtually all the major cities throughout the world. In America he has appeared with the New York Philharmonic, the Los Angeles Philharmonic, the Philadelphia Orchestra, and the symphony orchestras of Boston, Chicago, Pittsburgh, San Francisco, Dallas and Cleveland. In Latin America he has appeared with the National Symphony Orchestra and the National Symphony Choir. In Europe, with all the London orchestras, Dresden Staatskapelle, Leipzig Gewandhaus, Orchestre de Paris, the orchestras of Cologne, Stuttgart, Rotterdam, Oslo, and Stockholm. Gonzalo Morales Sáurez is a Costa Rican painter. He studied in The San Fernando Academy in Madrid, Spain from 1970 to 1974. He is best known for his hyper-realistic works, and has exhibited his art in many museums and art galleries in Europe and the Americas. Alejandro Morera Soto was a Costa Rican football player, who played as a striker mostly for LD Alajuelense in the Costa Rican Primera División. He is considered the best and most talented player of all time in Costa Rica. "El fenomeno costarriqueño", as he was dubbed by the press in Catalonia, Spain, where he was part of FC Barcelona, one of the world's greatest teams. However, he was known to most as "El Mago del Balón", he was of small stature but a powerful striker. In 1925 at the early age of 16, he made his debut with LD Alajuelense in the Costa Rican premier league Primera División in a match against Sociedad Gimnástica Española. Soon afterwards he became the star player and team's captain, showing a quality game and scoring many goals. These attributes opened doors beyond the country, initially in Cuba at Centro Gallego in 1927. He thereafter returned to LD Alajuelense and in 1928 helped the team obtain its first national championship, Morera scoring four goals in the last match against CS Herediano and becoming the top scorer with 26 goals. He shone as the team's outstanding player during LD Alajuelense's tours of Mexico and Perú, where he received accolades for his playing ability. In February 1933 he was invited to Spain by former Real Club Deportivo Español player Ricardo Saprissa for a tryout with Real Club Deportivo Español. The Barcelona newspaper Mundo Deportivo reported that Morera had wanted to play for FC Barcelona rather than RCD Espanyol and was able with the assistance of Sr. Esteban Sala, a club director and Sr.Gispert, also club director whom he had befriended during the ocean crossing to personally negotiate, after a successful tryout with the club's coach, a three-year contract directly with FC Barcelona's president, Joan Coma Segarrols. Luis Gabelo Conejo Jiménez is a Costa Rican retired footballer who played as a goalkeeper. Jonathan McDonald is a Costa Rican footballer currently playing for Kalmar FF in Allsvenskan. Douglas Sequeira Solano is a Costa Rican football defender who plays for Saprissa. His older brother, Alejandro Sequeira plays as Forward. Josué Isaac Martinez Areas is a Costa Rican footballer who currently plays for Deportivo Saprissa. Gonzalo Segares Gonzalez is a Costa Rican footballer who currently plays for the Chicago Fire in Major League Soccer. Jens Hoffmann Mesèn is a writer and exhibition maker. He currently is Deputy Director of the Jewish Museum in New York, where he oversees exhibitions, collections, and public programs. He has curated more than 40 exhibitions internationally and written more than 200 texts on art and exhibition making. From 2002 to 2006 Hoffmann was the director of exhibitions at the Institute of Contemporary Arts in London, and from 2007 to 2012 he was director of the CCA Wattis Institute for Contemporary Arts in San Francisco, where he also directed Capp Street Project, an artist in residence program. Since 2006 Hoffmann has been working with the Kadist Art Foundation, which is based in Paris and San Francisco, and has built their 101 Collection and El Sur. Currently Hoffmann is working as a guest curator for La Fondation Louis Vuitton, Paris, for which he is curating the inaugural exhibition of the foundation’s new Espace Culturel in Munich, scheduled to open in 2014. Since 2013 he has been an advisor and guest curator at the Museum of Contemporary Art Detroit, where his exhibition The Past Is Present opened in September 2013. Diego Alonso Estrada Valverde is a Costa Rican footballer. He played for Comunicaciones from Guatemala during 2012 and has signed a one-year contract to play for Deportivo Saprissa from Costa Rica starting 2013. José María Castro Madriz was a Costa Rican lawyer, academic, diplomat, and politician. He served twice as President of Costa Rica, from 1847 to 1849, and from 1866 to 1868. On both occasions he was prevented from completing his term of office by military coups. During his first administration, on 31 August 1848, he formally declared Costa Rica an independent republic, definitively severing Costa Rica's ties to the moribund Federal Republic of Central America. Castro was born in Jamaica and educated at the University of León, in Nicaragua, where he graduated as bachelor of philosophy and doctor of law. He occupied many public offices throughout his life, both before and after serving as President. He was the rector of the national University for sixteen years, and served several administrations as cabinet minister and ambassador. He also presided over the judiciary and the legislature, making him the only other Costa Rican besides Ricardo Jiménez to have headed all three branches of the government. Kenny Martin Cunningham Brown is a Costa Rican international footballer who plays in the A-League for Wellington Phoenix, as a winger. Joaquín Eufrasio Guzmán was President of El Salvador 15 February 1845 - 1 February 1846. This Central American statesman was born in Cartago, Costa Rica, in 1801 and died in San Miguel, Salvador, about 1875. In the dissensions between the Federal and Centralist parties, Guzman joined the former, and became lieutenant-colonel. He was elected vice president of Salvador in 1844. with General Malespin as president, and when, in the same year, war was declared with Guatemala, Guzman became acting president, while Malespin commanded the army in person. Afterward, while Malespin was making war on Nicaragua, Guzman pronounced against him, 2 February 1845, and was joined by the greater part of the inhabitants of the capital, and a portion of Malespin's little army. Malespin was deposed, and Guzman assumed the executive office till the end of the presidential term. Malespin, with a force from Honduras, invaded the state, but was defeated and assassinated. Guzman was rewarded by the assembly with the rank of general of division, but favored a free election, and in 1848 delivered the office to his successor, Aguilar. He was several times elected to the legislative assembly, the council of state, and the prefecture of the department where he resided. Diego Gerardo Calvo Fonseca is an Costa Rican footballer who plays as a midfielder for Vålerenga Fotball in Tippeligaen. José Jesús Francisco Zúñiga Chavarría was a Costa Rican-born Mexican artist, known both for his painting and his sculpture. Journalist Fernando González Gortázar lists Zúñiga as one of the 100 most notable Mexicans of the 20th century, while the Encyclopædia Britannica calls him "perhaps the best sculptor" of the Mexican political modern style. Kendall Waston is a Costa Rican footballer who plays for Perez Zeledón on loan from Deportivo Saprissa. José Joaquín Antonio Trejos Fernández was President of Costa Rica from 1966 to 1970. His parents were Juan Trejos Quirós and Emilia Fernández Aguilar. As a student he obtained degrees in mathematics and economics from the University of Costa Rica. During Mario Echandi's administration he was part of Costa Rica's delegation in the United Nations. Trejos defeated Daniel Oduber in the election that secured him the presidency. Trejos died on 10 February 2010. Mauricio Solís Mora is a former Costa Rican professional footballer, who played as a defensive midfielder. He is one of Costa Rica's best players in the past decade. He is a though and working central midfielder who is a strong tackler and is also good at distributing balls and starting attacks from the center of pitch, he is also a great shooter from long distances. Solís began his professional career with C.S. Herediano, making his debut with the club in 1991. He would remain with Herediano until 1996, winning the last Costa Rican championship C.S. Herediano won in the 1992–93 season. He then moved to England, signing a contract with Derby County along with compatriot Paulo Wanchope. His stay there was short, however, and he returned to CONCACAF in 1998, playing with CSD Comunicaciones of Guatemala for a year. Solís moved to Major League Soccer, where he played parts of the 1999 and 2000 seasons for the San Jose Clash, registering 4 goals and 1 assist in 29 starts. After two years in MLS, Solís returned to Costa Rica, where he signed a contract with LD Alajuelense. He played two seasons with the team, winning championships in 2000–01 and 2001–02, before looking overseas again, signing a contract with Greek club OFI Crete. After a year with them, Solís again returned to America, playing the 2003–4 season in Mexico for Irapuato brought to the team by former coach Alexandre Guimarães. Marcos Danilo Ureña Porras, known as Marco Ureña is a professional Costa Rican footballer who plays in Russia for FC Kuban Krasnodar and the Costa Rica national football team as a striker. Carlos Johnson is a Costa Rican footballer, who plays for Cartaginés. Johnny Woodly Lambert is a Costa Rican professional soccer player who last played for Chinese club Fujian Smart Hero. José Francisco Porras Hidalgo is a Costa Rican former footballer who last played for AD Carmelita in Costa Rica. Playing for different teams in Costa Rica during the 90s, Porras spent several years on Saprissa's bench before being given his opportunity to shine. In his youth, Porras was considered a good prospect, even playing for Costa Rica's national squad in the under-20 FIFA World Youth Championship in Saudi ArabiaHowever, because Erick Lonnis, the star goalkeeper for Saprissa and Costa Rica, was at the pinnacle of his career, Porras had to patiently wait for his chance. After Lonnis's retirement, Porras managed to establish himself in both Saprissa's and the national team's goal. With Saprissa, he won three national championships, a UNCAF Cup and a CONCACAF Champions Cup title. With Porras in goal, Saprissa finished third in the FIFA Club World Championship 2005, behind São Paulo Futebol Clube and Liverpool F.C.. Porras has received 33 caps with the Costa Rica national football team. He won a UNCAF Cup and played in the 2006 FIFA World Cup after being named in coach Alexandre Guimarães's squad. Jafet Soto Molina is a Costa Rican football coach and retired player who played for CS Herediano and other teams. In Costa Rica, Soto has only played for CS Herediano, where he is considered an idol by local fans. He also played for several seasons in the Mexican premier league, in teams such as Puebla F.C., Monarcas Morelia, Club Atlas, C.F. Pachuca and Tecos UAG. He has played for the Costa Rican national team in many locations, where he has shined in several UNCAF Nations Cups, CONCACAF Gold Cups, Copa America and FIFA World Cup qualifiers. Despite of his appearances, injuries and bad luck came in his way of playing in both 2002 and 2006 FIFA World Cups, where Costa Rica has played, but without Soto. After serval months in Real Salt Lake, Soto went back to his country Costa Rica, where he plays for CS Herediano, fans consider him an idol and he represents CS Herediano, he is captain of this team. He has recently retired from professional football. His last game was played on January 17, 2009 against Brujas FC where he scored a last minute goal that made Herediano win the match 1-0. In September 2011, Soto became Herediano's administrative manager. José Adrián Bonilla Bonilla is a Costa Rican professional road bicycle racer born on April 28, 1978 in Paraíso, Costa Rica. He debuted professionally in 2004 with the team Comunidad Valenciana. In 2006, during the Operación Puerto doping case, he was identified as the client of a doping traffic network led by Eufemiano Fuentes, under the code name Bonilla Alfredo. Bonilla was not sanctioned by the Spanish government since doping was not a crime at the time. He did not receive any other sanction either since the judge assigned to the case refused to share the case's evidence with the World Anti-Doping Agency or the Union Cycliste Internationale. Spanish court 31 later cleared him and all the other members of Comunidad Valenciana of any involvement in the case. On a document dated 28 July 2006 the court's secretary made clear none of the team members were found guilty of doping. Randall Brenes Moya is a Costa Rican professional footballer, who plays as a striker for Cartaginés. Shirley Cruz Traña is a Costa Rican football player who plays for French club Paris Saint-Germain in the Division 1 Féminine. Cruz joined Lyon in January 2006 having previously played for the women's section of Costa Rican Deportivo Saprissa and plays as a creative midfielder, often acting as a deep-lying playmaker. She is also a member of the Costa Rica women's national football team making her first major tournament appearance with her nation at the 2002 CONCACAF Women's Gold Cup, which served as a qualifying tournament for the 2003 FIFA Women's World Cup. Hanna Gabriel Valle is a Costa Rican boxer, junior middleweight category, whose career has been highlighted by several international victories. Gabriel is the daughter of Yolanda Valle Moreno and Lesslie Gabriel Binns, a promising boxer who qualified for the Olympic Games in Moscow 1980, but was unable to attend. She has one brother, Windell Gabriel, who plays football in the Costa Rican first division. She debuted in the Gimnasio Nacional, San Jose, Costa Rica, on November 17, 2007, fighting Nicaraguan Aoska Xochilet Herrera and defeating her by KO. On December 19, 2009 Gabriel won the World Boxing Organization welterweight World Championship against Argentine Gabriela Zapata by technical knockout during the fourth round. The fight took place in the Dennis Martinez stadium, Managua, Nicaragua and was part of an evening in posthumous tribute to triple world champion Alexis Arguello, El Flaco Explosivo, considered as one of the greatest boxers of all time. On January 14, 2010, just over a month after that victory, she renounced the title after suffering several blackouts due to her diet. Her correct category is middleweight and for the aforementioned competition she'd had to lose weight by not eating carbs. Alejandro Tadeo Ramírez Álvarez is a chess Grandmaster. At the age of 15, he became the first Centro-American to achieve the Grandmaster chess title awarded by the International Chess Federation, and became, at that time, the second youngest chess grandmaster. Ramírez started playing chess at the age of four after watching the movie "Searching for Bobby Fischer", and with the guidance of his father and mentor Jorge Ramírez, started to progress. At the age of 13, Ramírez achieved a draw against Russian Grandmaster Alexander Morozevich during the 35th Chess Olympiad, held in the city of Bled in 2002. He graduated from the University of Texas in Dallas with a Masters Degree in Arts & Technology / Design and Production of Videogames. Álvaro Mesén Murillo is a Costa Rican footballer. He currently plays as a goalkeeper for Municipal Liberia in Costa Rica. Ottón Solís Fallas is a Costa Rica politician. He graduated with a BEcons from the University of Costa Rica in 1976 and gained a Master's Degree in Economics from the University of Manchester in 1978. He is currently an Eminent Scholar at the University of Florida. Alonso Solís Calderón is a Costa Rican football player and singer, who plays offensive midfielder or Striker, is currently looking for a team in the Costa Rican Primera División. Solís returned to Saprissa after spending a good deal of time abroad – he has played with Universidad Católica in Chile, OFI Crete in Greece, and SK Brann in Norway. Known as "El Mariachi", Solís has become one of the top players in Costa Rica in the last seasons, scoring amazing goals and performing well during the matches, he has a great ability to dribble and he is also a great shooter from mid distances. Solís had an extremely impressive 2003/4 season with Saprissa, finishing third in the league in goals with 17, while leading Saprissa to an easy first-place finish in the league. Solís is also a figure in the Costa Rica national football team, playing a significant role in the team's 2006 World Cup Qualifying campaign. In junior level, he played in 1995 FIFA U-17 World Championship held in Ecuador, and the 1997 FIFA World Youth Championship held in Malaysia. With Saprissa, he has won four national championships and a CONCACAF Champions Cup, and was part of the team that played the 2005 FIFA Club World Championship Toyota Cup, where Saprissa finished third behind São Paulo Futebol Clube and Liverpool F.C. Because of his natural talent for the game, he left a very good impression in the tournament. Luis Alberto Monge Álvarez was the President of Costa Rica from 1982 to 1986. He was born in Palmares, Alajuela Province. Before becoming President in 1982, he served as ambassador to Israel, was one of the founding members of the National Liberation Party in 1951. He was also named a deputy in the Legislative Assembly, at age 24, making him one of the youngest to reach such rank. Monge inherited an impoverished and distraught nation. The biggest issues his presidency dealt with were: the unmanageable economic crisis, the mounting foreign debt and the Sandinista-Contra crisis involving Nicaragua, the United States and Costa Rica's northern border region. In dealing with the country's economic situation, he began austere programs on public spending, eliminated many government subsidies to various activities and promoted exports and receptive tourism. He eliminated export and production taxes. Monge also reformed monetary law, and forced all foreign currencies to go through the national bank system. A lot of his efforts paid off, reducing inflation and unemployment. During Monge's term, Costa Rica proclaims an alignment with all "western democracies" and begins to work closely to the governments of Honduras, El Salvador and Guatemala, while its relationship with Nicaragua continued to deteriorate. Mario José Echandi Jiménez was President of Costa Rica from 1958 to 1962. Karen Christiana Figueres Olsen was appointed Executive Secretary of the UN Framework Convention on Climate Change on May 17, 2010, succeeding Yvo de Boer. She had been a member of the Costa Rican negotiating team since 1995, involved in both UNFCCC and Kyoto Protocol negotiations. She has contributed to the design of key climate change instruments. She is a prime promoter of Latin America’s active participation in the Convention, a frequent public speaker, and a widely published author. She won the Hero for the Planet award in 2001. Romualdo Ricardo Jiménez Oreamuno served as president of Costa Rica on three separate occasions: 1910 to 1914, 1924 to 1928, and 1932 to 1936. One of the most well known lawyers in Costa Rican history and a University of Santo Tomás graduate. Shortly after assuming power in 1910, the province of Cartago was hit by a powerful earthquake which destroyed most of the city and killed hundreds. One of his main struggles was the rebuilding of the biggest city in the country at the time. After the earthquake, Jiménez outlawed construction with adobe. Another notable aspect of his first term was the consolidation of the country's external debt with a great part of the debt owed to France being repaid. During his second term in office, he created the National Insurance Bank, The Bank of Mortgage Credit, the School of Agriculture and founded the Ministry of Health. He also began the electrification of the Pacific railway system and the creation of the Pacific port of Puntarenas. After his second term he stepped away from the political scene for four years. He again was elected President in 1932. During his last term in office he concentrated on the country's infrastructure and educational system. He built several large buildings for school housing, improved and build new roads throughout the country and constructed an aqueduct system that started in the central valley at Ojo de Agua and flowed into the Pacific Ocean at Puntarenas. During his administration, the bridge from Filadelfia and Liberia was constructed, as was the Old National Theater. General Tomás Miguel Guardia Gutiérrez was President of Costa Rica on two occasions: from 1870 to 1876, and from 1877 to 1882. On 27 April 1870 Tomás Guardia was one of a group of army officers who deposed President Jesús Jiménez. He was the power behind the throne during the very short presidency of his conspirator Bruno Carranza, whom he replaced after a period of three months. The following year he enacted Costa Rica's 1871 Constitution, which remained in force until 1948. On 8 May 1876 he surrendered the presidency to Aniceto Esquivel. He continued to pull the strings of power during Esquivel's short term in office and that of Esquivel's successor Vicente Herrera, before reassuming the presidency himself on 11 September 1877. He abolished the death penalty later that year. He remained in office until his death. Teodoro Picado Michalski was the President of Costa Rica from 1944 to 1948. Rodrigo Kenton Johnson is a Costa Rican football coach and former player. He is known as "La Bomba" Kenton. María José Castillo is a Costa Rican singer. She is best known for her participation in Latin American Idol. On the show she ended as the runner-up, losing to Margarita Henríquez. Her debut album, "María José", was released on November 25, 2008. The album was successful, debuting on the Costa Rican Top 10 albums on position 5. Its lead single, "Abre Tu Corazón", entered the Costa Rican Top 40 at position 3.